• Improved speed and various visual tweaks. I am part of many groups on Telegram, many of which I don't really check all the time, only once a week or less, but they keep poping up contantly in my contacts list every time one of the thousands of members write a message, getting in the way of the contacts and small groups that I do want to see all the time. My suggestion is to be able to hide some groups or put them inside a folder. Maybe also a functionality for "grouping groups" also. you guys doing excellent! Thanks for this clean design! i really appreciate that. but i just wanna one more option to make this app perfect! please add an option that users can turn off automatic downloads for images videos and … just like mobile versions. i think everyone has my point too and we can use less internet charge! cause we are force to download unwanted stuffs! please add this feature. 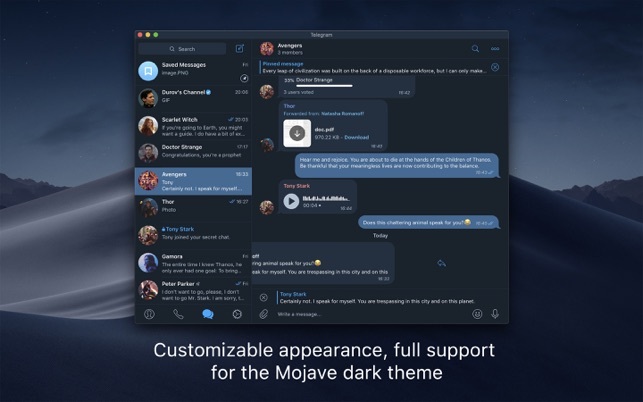 Telegram for macOS is a good attempt. 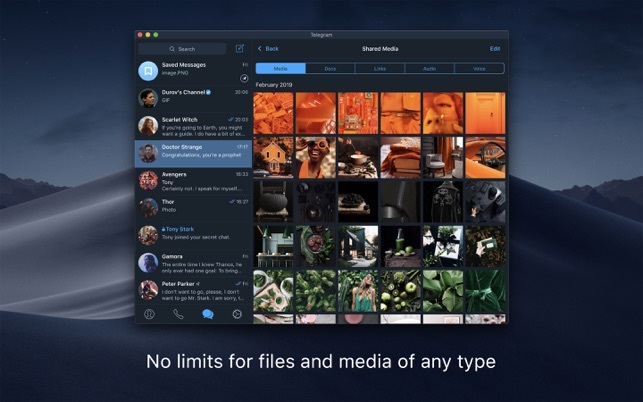 It has a much smaller binary size than Telegram Desktop, it uses native AppKit UI components, and it runs much lighter on resources. 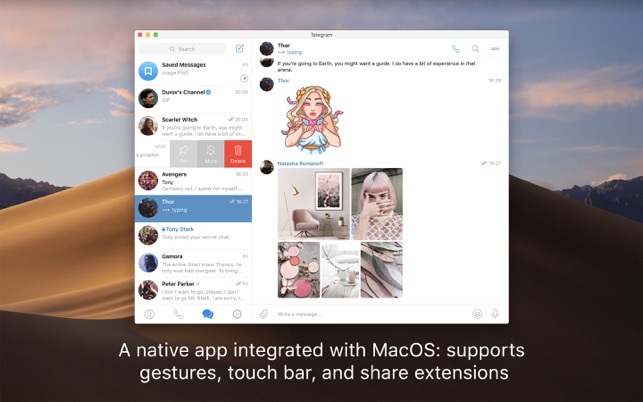 However, it seems to be designed to match the iOS interface, right down to the navigation paradigm :/ It shirks macOS interface conventions left and right, leaving long-time Mac users somewhat disappointed. 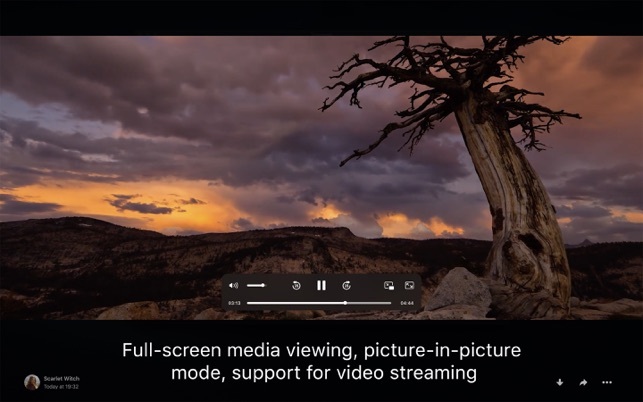 I look forward to future updates where the developer works toward a more Mac-like interface!